This past winter sports season, our high school Unified Bocce team won the state championship — for the second time in a row! This comes on the heels of our Unified Tennis team winning the state championship in the Fall of 2017. And later in 2018, our Unified Track team would also win the state championship. It was a sweep for our Unified team athletes in the 2017 – 2018 school year! To celebrate, I made a cake for the Bocce team’s end of season banquet. It was a yellow cake box mix. I always add a tablespoon of vanilla to make box mixes taste more homemade. The cake pans are from the I used the performance square pan set – the 12″ and 16″ sizes. The cake was frosted using white canned frosting. I created “Bocce balls” using candy mold circles in dark blue (no longer available) and yellow candy melts. I piped on the names of all the athletes in the white frosting with a #1 tip. These were placed all around the cake. I spelled out 2018 STATE CHAMPS WHS UNIFIED BOCCE in dark blue alphabet candy molds. (I no longer remember exactly who the maker of the alphabet candy molds is). In each corner of the top tier, I made Lion paw candy melt pop molds in dark blue and yellow. I added royal blue and gold Sixlet candies between the top and bottom tier. The 360 degree view is courtesy of my son Nick (with moral support from our dog Jake). The cake was a big hit. 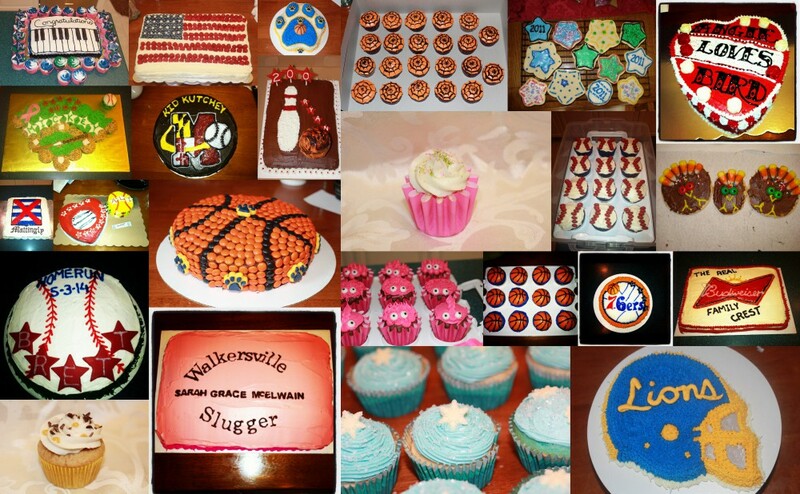 I was honored to make the kids, coaches and their families a special treat to celebrate a great season!